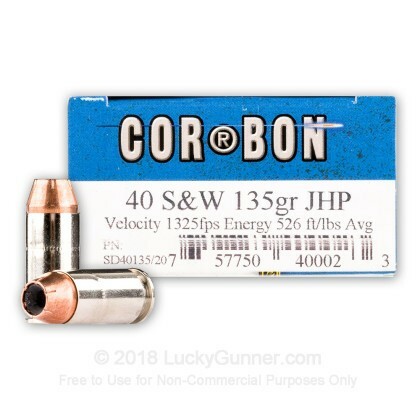 This .40 S&W cartridge from Corbon blends the high caliber of the .40 with the high velocity of smaller rounds such as the 9mm Luger. 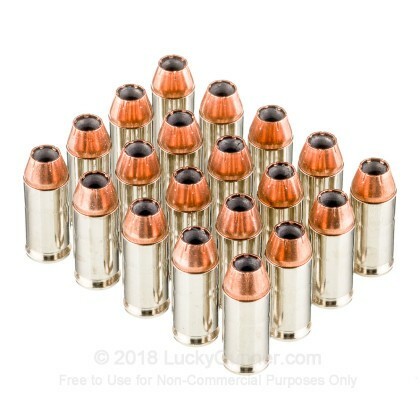 Each cartridge in this box of 20 fires a 135 grain jacketed hollow point bullet at a muzzle velocity of 1,325 feet per second. 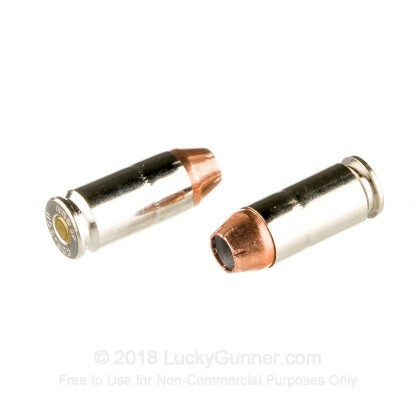 This compares favorably in both expansion and penetration to 180gr loads, which usually achieve a muzzle velocity of around 1,000 fps. Corbon is a top manufacturer of high performance ammunition for self-defense, hunting, and competitive shooting. 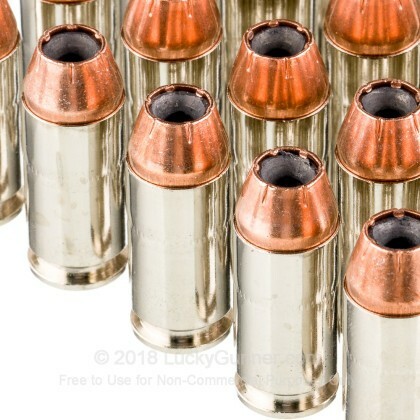 Their ammo is loaded in Sturgis, South Dakota using non-corrosive Boxer primers and brass cases. 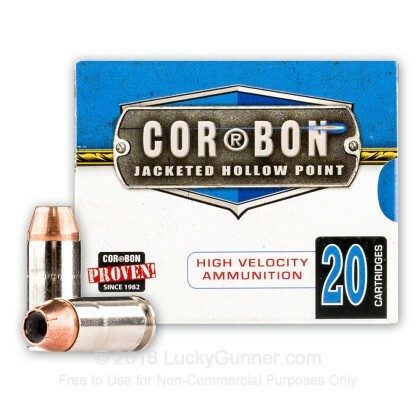 We don't have any reviews yet for this particular .40 S&W (Smith & Wesson) ammo from Corbon. 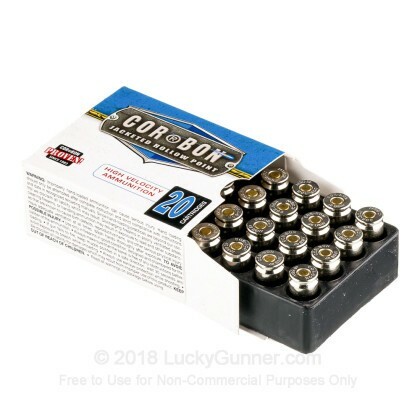 If you'd like to be the first to review this particular .40 S&W (Smith & Wesson) ammo from Corbon, fill out the form below.